Hire Will, now, otherwise he’ll definitely be booked up. 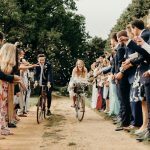 We absolutely love our photos – the fact that it’s been impossible to whittle down to a manageable list of favourites says it all. Alongside his obvious talents (the photos speak for themselves really), Will is brilliant to work with. From our initial conversation, through the engagement shoot, to the big day he was always a pleasure: calm, funny and genuinely excited by his work. He couldn’t have been better throughout. 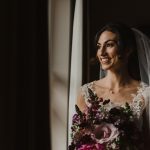 The photos, as well as being stunning, capture all the people, moments and details that we could hope for – a perfect record of the big day. You will not regret booking Will for your wedding. Besides taking beautiful photos and capturing so many special moments, which he does so well, Will was a pleasure to work with. From the beginning it was all about us, he wanted to know about who we are as a couple and use that as the center point for everything. He was able to offer us so much advice on what works and what doesn’t while we were planning. He was so professional on the day and wonderful with all of our guests. Most of the time we hardly knew he was there and the rest of the time it was like having one of our oldest friends there, he is just such a lovely person and puts everyone at ease. We could not have hoped for better, Will is amazing! He takes time to get to know you, captures lovely photos with those tender moments and from start to finish he has been an absolute pleasure to work with. 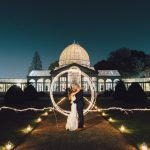 He is a photographer who goes the extra mile and takes pride in his work, with lots of personal touches. All our guests loved him, thank you so much Will! Will, these are so amazing!! 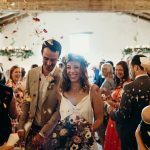 We were so chuffed to have you there with us on our special day and we can’t thank you enough! 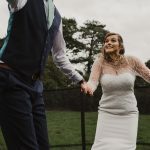 We absolutely loved having Will as our photographer – super friendly, super professional and super talented… What more could you want? 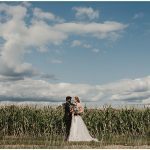 We wanted a more natural and creative feel, rather than the generic style of wedding shots, and that’s exactly what we got. Whilst we did want a few staged pics of family etc., the majority were candid moments of emotion, dancing and laughter, which we will treasure forever. Have absolutely no hesitation in recommending him, and will be sure to tell all of our engaged friends to hire him! 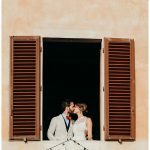 Along with being an outstanding photographer, Will contributed to making our day perfect. The amount of effort that he put in to make everything happen as smoothly as possible was outstanding. We will be recommending him very highly to all of our friends. Thanks so much Will. We can’t thank you enough. 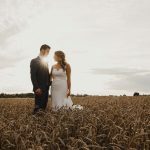 Will was absolutely fantastic throughout our entire experience with him – before we booked him, after we booked him and especially (and most crucially!) 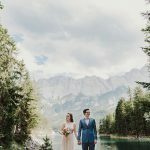 at our wedding – he stayed for an unbelievable full day, like at least 14 hours?! What unbelievable commitment and so positive and professional throughout. We asked to meet him before booking and did so in a local bar; he made us feel relaxed from the get go and answered my very long list of questions without being phased at all. Consistently through the planning process he was helpful and attentive. At our wedding Will was completely fantastic from start to finish. From the preview photos he has an eye for things that most of us just can’t see! Our guests have commented on how great he was and how he somehow seemlesly captured everything without disturbing anyone. He even managed to convince my gran (who hates photos) to stick around for some… She said he was nice, which is a huge compliment! We’ve only seen the preview shots so far but absolutely loved them and are unbelievably excited for the full collection! Absolutely no doubt in our minds that they will be wonderful (despite our horrible awkwardness at being photographed)! Thanks so much Will, couldn’t have asked for anything more!! Honestly, we couldn’t have chosen a better photographer. From the outset Will showed a real interest in our plans, wanting to get to know us and our vision for the wedding. He was the perfect fit, joining us for 3 days over the course of our wedding abroad, he blended in perfectly with our guests and was a joy to have around. Will is a happy balance of professional and friendly. He gets his job done but with real care and consideration. 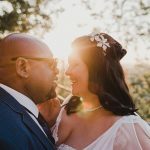 He’s super nice and both my husband and I felt relaxed and confident that capturing the memories of our day would be safe in his hands. Now on to the photos… How many words can I use to describe them? Stunning, beautiful, elegant, timeless, professional, inspired, honest, touching, joyful, fun…. I could go on! We are beyond happy with the images Will delivered. I’m practically giddy every time I look through them! Truly happy to recommend Will to anyone! I wish we could do it all over again. 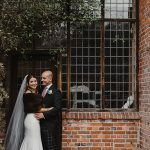 From the moment we met Will in a North London pub to talk about the wedding, we knew we had made the right choice for our wedding photographer. We’ve also had loads of great comments from our friends about how good the photos are. 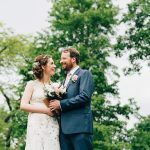 We wouldn’t hesitate to recommend Will as a great choice for wedding photographer. He is simply the best. That’s really all you need to know! 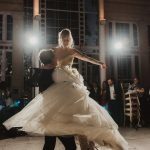 Find out more about what’s included in my wedding photography packages. 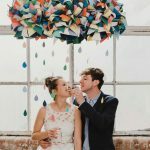 Take a look at some of the latest weddings and modern couple shoots I’ve done. See some of my latest work, and some of the best from 2017 and 2018.